Minnie was born in Asia in 1966. She was taken from the wild and exported to North America the same year. 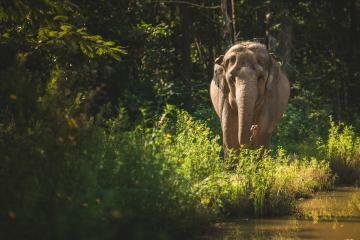 She spent the next 17 years as the sole elephant at a private wild animal farm in Alberta, Canada, where she was called Talli. In 1983, she was purchased by Circus Vargas, and her name was changed to Minnie. After traveling for many years with the circus, Minnie was sold to the Hawthorn Corporation and leased for use in various circuses and performing exhibitions. 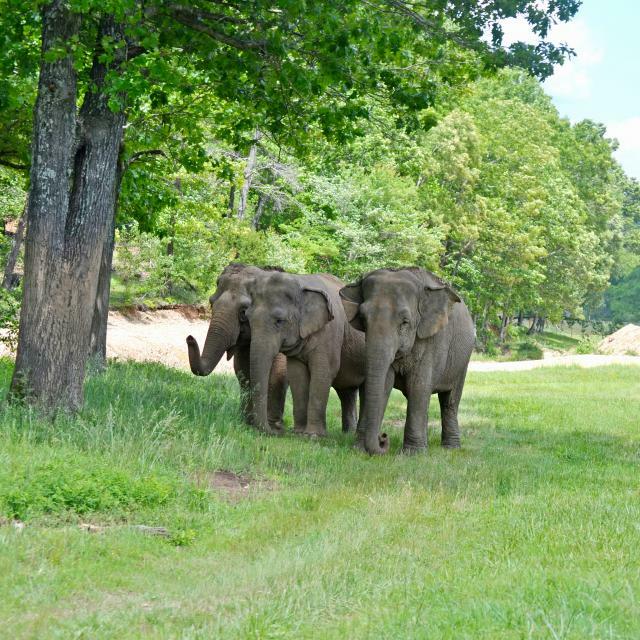 As a result of USDA prosecutions against the Hawthorn Corporation for violations of the Animal Welfare Act for inadequate care and mistreatment of its elephants, Minnie and ten other Hawthorn elephants were transferred to The Elephant Sanctuary in Tennessee. 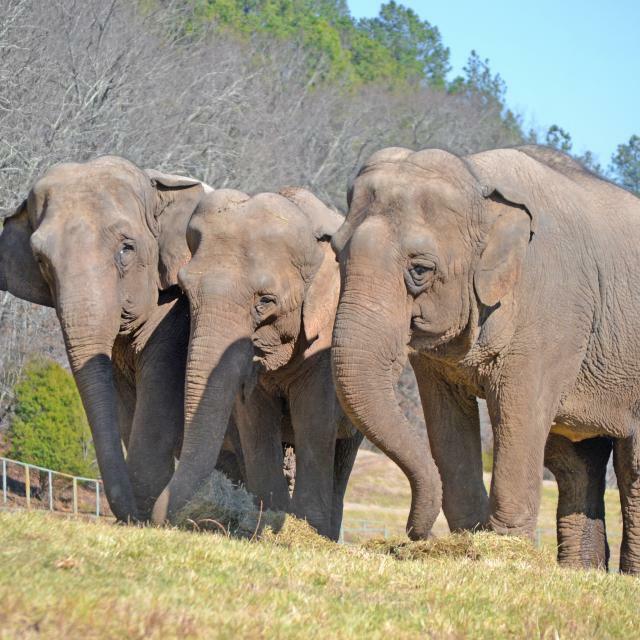 On January 31, 2006, Minnie became the 15th resident of The Elephant Sanctuary in Tennessee, and the first of eight elephants to arrive that year. After two of Minnie’s closest companions passed, Care Staff hoped that Minnie would be able to socialize with Debbie and Ronnie; however, this proved complicated. Minnie and Debbie are two very large, willful elephants, and each seemed determined to establish herself as the dominant elephant. For the wellbeing of all three, Staff gave Minnie access to a separate area of the habitat where she could still see, touch, and smell Debbie and Ronnie while a fence separated them. Today, Minnie regularly meets up with Debbie and Ronnie and is also beginning to spend time interacting with Billie and Sissy over the fence line. Minnie is frequently observed playing with her culvert (a 200 lb drainage pipe) and reveling in her habitat’s many ponds and creeks. Possibly because of her time spent in Canada, Minnie appears unbothered by winter’s cooler weather. She seems to encourage her habitat-mates to follow her out of the barn on cooler days. Caregivers have even seen Minnie breaking ice on the pond to go for a quick dip. 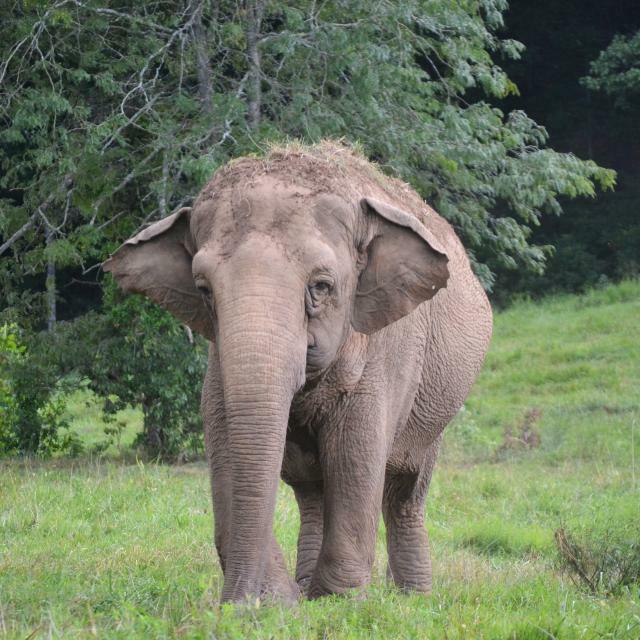 Currently, Minnie is The Sanctuary's heaviest elephant; her weight fluctuates around 11,000 pounds. She can be recognized by the broad base of her trunk and her bright white toenails. Minnie is also the only elephant at The Sanctuary with all white hair on her tail.